Visit three authentics tapas bars. Explore the old Madrid with a friendly local guide. 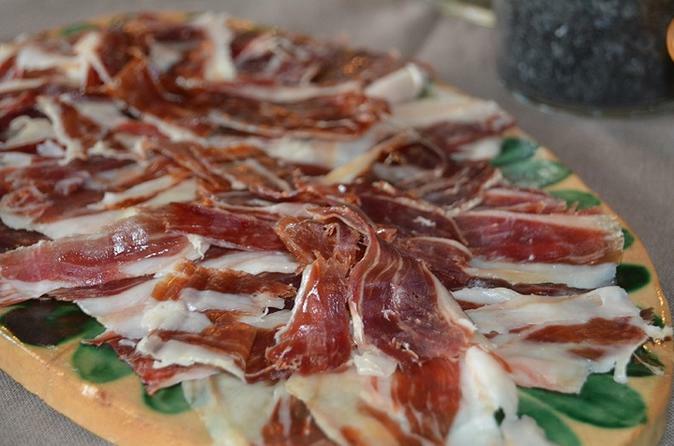 Learn more about the tapas tradition and about the Spaniards. Our stroll starts at 12.30h or 7.00pm (depending on the tour option selected) at The Statue of the Bear and the Strawberry Tree (Puerta del Sol). You will go with a local guide expert in history and gastronomy to the most popular tapas bars of Madrid where the locals go to eat their famous tapas as Iberian ham, Fried cod (typical tapa from Madrid), Spanish Omelet, Bravas and more tapas according to the tapas bars where we go that day. Pass by iconic Madrid landmarks like the Puerta del Sol, Plaza Mayor, Plaza de la Villa (The Old City Council), San Miguel Market, La Latina neighborhood the oldest restaurant in the world etc. During the tour you will learn more about the history of Madrid and about the tapas tradition asking what you want and enjoying the tour. All the products we are going to try are of the highest quality, tapas bars selected for the best palates.